Many people are unaware that the Fourth of July is the most dangerous holiday for pets. According to national statistics, animal control officials across the country see a 30-60% increase in lost pets each year between July 4th and 6th. In fact, July 5th is one of the busiest days of the year for shelters. Thousands of pets are lost each holiday due to the big bangs of those spectacular but scary fireworks displays. These unexpected and loud noises put our pets in a spooked state of confusion causing them to run away from home by escaping out windows or fences. Sadly, many cats and dogs are never returned to their owners because they lack identification like an i.d. tag or chip. Identification is key to being reunited safely with your pet. There are, however, some things you can do to ensure your pet is relaxed and entertained during the fireworks. Read more about them on our post, “Five Ways to Keep Pets Safe During Fireworks”. The article highlights pet games as well as treats, toys and accessories. Available at our retail stores, the Thundershirt, for example, can help ease anxiety in pets and distract them from those big bangs and have them concentrating more on big fun with the family. Most importantly, it’s vital that you know the days and times when your community is going to host its celebrations so you can either protect your pet in the comfort of your home or make accommodations to board your dog or cat at your local pet care facility. Wildwood has fireworks on the Beach every Friday night in July and August. Point Pleasant offers fireworks displays each Thursday in July and August. Seaside Heights has Wednesday fireworks from June through September. Asbury Park has a fireworks show each Wednesday night of the summer. 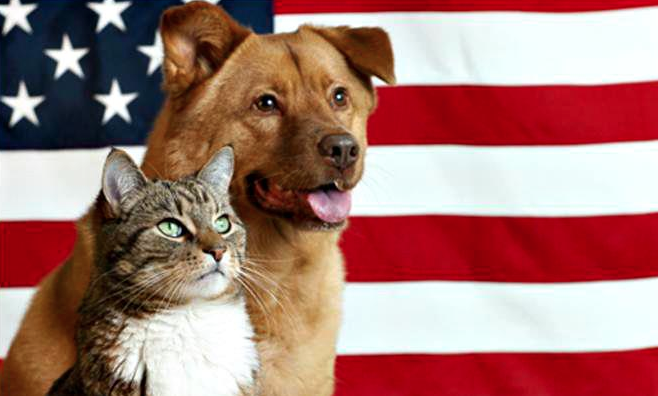 From all of us at Purr’n Pooch, we wish you a very happy and safe Fourth of July together, pets and people. The Jersey Shore has so many fun activities to offer and although fireworks may be exciting for people, we must remember that the Fourth and other fireworks celebrations throughout the summer are fearful times for pets. Take precautions, be safe, and enjoy. 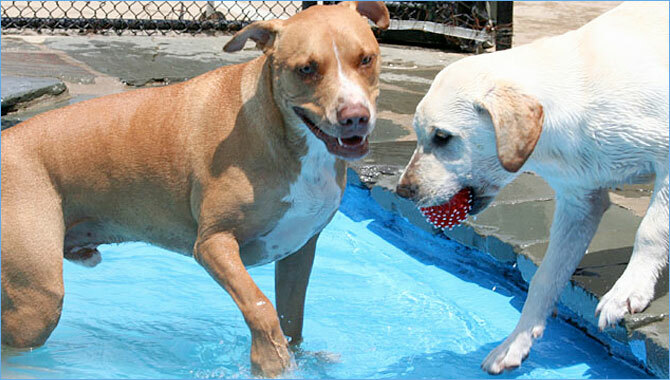 Celebrate Summer at Purr’n Pooch Pet Resorts! June is an exciting time for the pets at Purr’n Pooch! Our pools are already open and the fun never stops on the playground, except when it’s time to cool off under the shade of our outdoor tents or take a siesta in our lounge areas complete with beds and water stations. There are promotions and events to keep your pup or kitty busy all month long. So join the fun and make your daycare, boarding or spa appointment in Tinton Falls or Wall today. Join us at Purr’n Pooch Pet Resorts in Tinton Falls on Tuesday, June 10 and Wall on Wednesday, June 11 as we celebrate our friends’ June birthdays with games on the playgrounds and treats! Friday, June 13 ~ 6-8 p.m.
Night featuring displays, vendors, demonstrations and give-a-ways. Dogs welcome on a leash and vaccinated. Be sure to visit Purr’n Pooch’s booth at the event. Wednesday, July 23 ~ 6-10 p.m.
Visit purrnpoochfoundation.org or email savelives@purrnpoochfoundation.org for more details. 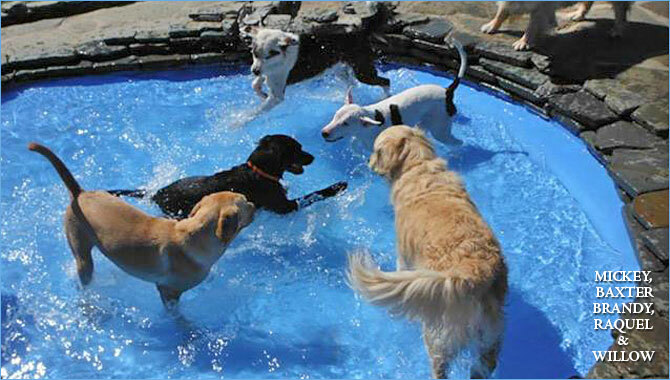 Purchase your pup’s pool pass and join us for a cool, refreshing doggie paddle with friends in our fresh water pools. Buy one pool pass and get one free June 20 – 22 in honor of the first official weekend of summer. Call us in Tinton Falls at 732.842.4949 or in Wall at 732.528.8100 to purchase your passes. Include your best friend on your wedding day for a walk down the aisle, pictures and more! Purr’n Pooch Pet Resorts will handle, transport, groom and board your pup for the special occasion. Book your pet’s stay with us on your big day and he receives a complimentary 15-minute spa massage. Call us in Tinton Falls at 732.842.4949 or in Wall at 732.528.8100 for more info. For more information, call 732.842.4949 (Tinton Falls) or 732.528.8100 (Wall) or email info@purrnpooch.com.